Tasked with another mural, Jay Allen again chose Dibond aluminum composite as his substrate. The Pride of Muskegon is a large piece that celebrates the small Midwestern town of Muskegon, Michigan whose local economy was once reliant on the lumber industry. The lumber industry of course made way for the town’s local metal-foundry industry by providing the lumber cutting equipment. 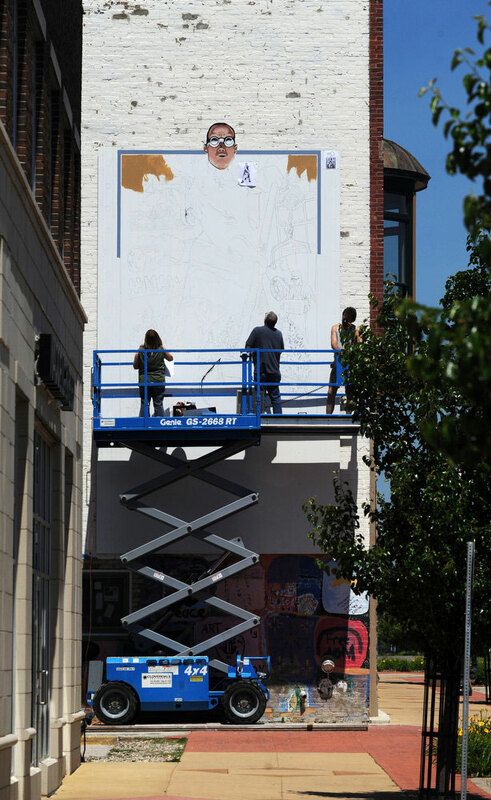 The area has a sense of local pride on their hard-working beginnings leading to the pursuit of a large downtown mural spearheaded by the Muskegon County Convention and Visitors’ Bureau director, Bob Lukens, and other local officials. 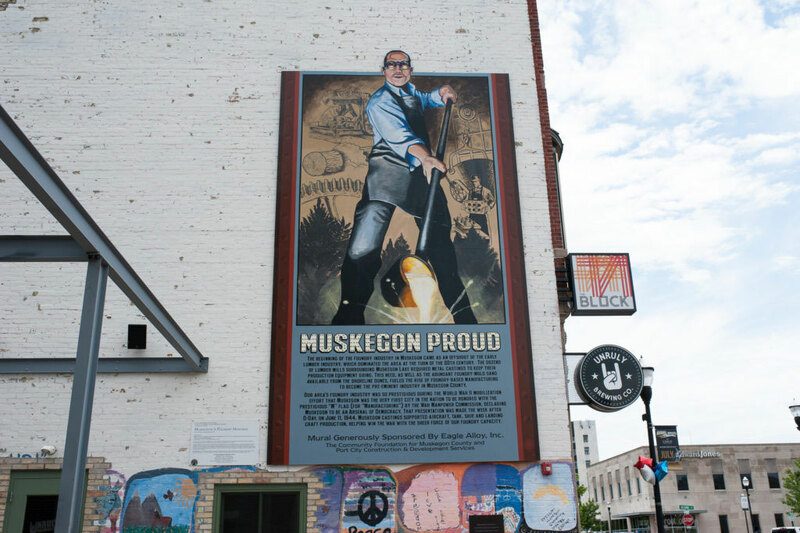 The mural was funded by a Muskegon steel-foundry, Eagle Alloy, and the Community Foundation for Muskegon Company and is located on the Russell Block Building. Interestingly, Lukens had worked with Allen previously on the Illinois Highway hand-painted murals. Allen and his team, Nancy Bennett and Robert Valadez, utilized historic photography for the design. The piece was projected onto the wall at dusk, which featured 4 x 10 foot Dibond panels that were secured within a frame. Painted using exterior-white primer and Nova Color acrylic-latex mural paints, the mural boasts a colorful tribute to the city’s foundry legacy. Dibond aluminum composite is often specified for outdoor application for its ability to withstand climatic deterrents as well as its durability and lightweight. Gaining popularity in the artistic realm, Dibond’s superior flatness is often quoted by artists as one of their reasons for specification.